No matter what the reason is to buy a wig, there is no doubt that hair weaving has become a reality. Remy hair is an expression of the real human hair wig market.Well,what is Remy hair?why is Remy hair so popular? When it comes to types, there are many ways to classify human hair. First, the texture is largely determined by the area from which the strand is sourced. For example, Brazilian human hair,Indian human hair, Peruvian human hair, Malaysian huamn hair, etc. However, origin is not the only factor that affects quality. The method of collecting hair also affects the overall appearance and quality of the extension.Remy hair is collected without losing the cuticles and the natural direction of the hair strands.Remy human hair weave is one of the best choices for your purchase of best human hair weave. 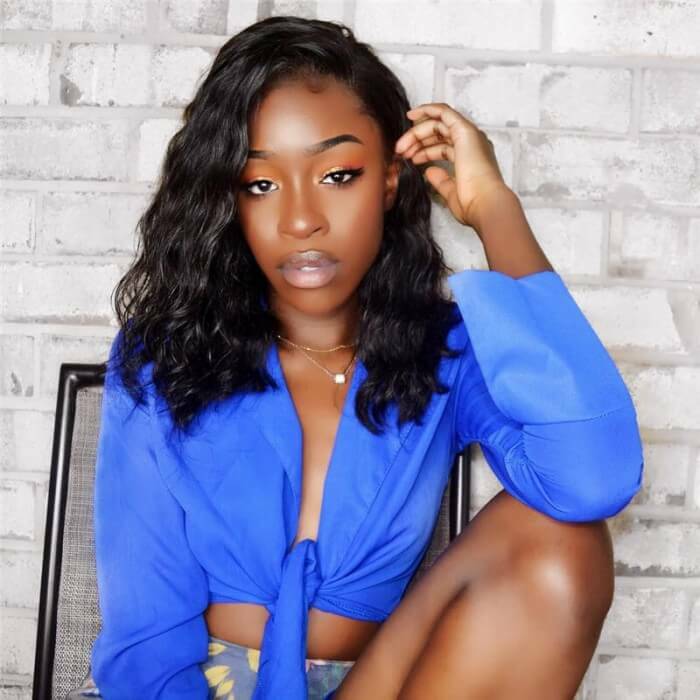 Remy hair is 100% real human hair,and all the hair pieces are in the same directly,, higher quality than non-remy hair, lower quality than virgin hair. virgin hair is the best quality, most expensive, it is very supple, no knotting, no hair loss, easy to dye and bleach, its service life can last one year under the good care, the quality of remy hair is quite good, but no virgin hair is good.The price is lower than virgin hair. If you are looking for an affordable good quality hair,remy hair products will be a good choice. Non-Remy hair is processed that is completely different from Remy hair, so its life is much shorter than that of Remy hair. non-Remy hair can not stand too many shapes, otherwise it will lose the hair's luster and become frizzy.Non-Remy hair is 100% human hair, but in this case, the hair is collected in piles and as a result the cuticles are all misaligned. This hair is easily tangled and without proper maintenance, it can give a shabby look. Why is Remy hair So Popular? Remy hair is considered the finest quality of human hair since the cuticles are kept intact unlike most other non-remy hair extensions. Aligning and preserving the hair cuticles in a unilateral direction ensures the natural look and feel of hair extensions.Remy hair is considered the finest quality of human hair since the cuticles are kept intact unlike most other non-remy hair extensions. Aligning and preserving the hair cuticles in a unilateral direction ensures the natural look and feel of hair extensions. Most women don’t know what the term Remy means and purchase hair that claims to be Remy but is just as bad as a synthetic mix hair.After a vendor cuts the hair from a ponytail, he has to ensure that the cuticles remain intact and the hair follicles flow in one direction. The hair strands are double-drawn, meaning the hair should be the same length from roots to tips. Through selecting remy hair you will be able to brush, wash, cut and curl your hair extensions as easily as you would your own natural hair. The hair will be smooth to touch, and will look incredibly shiny and healthy, the desired look for anybody looking to enhance their appearance with the use of hair extensions. How to Buy Remy Hair? Some women may feel that they are saving money by buying Non-Remy hair, but in reality they are wasting money. Non-Remy hair may initially look soft and silky, but after a few washes, the hair becomes very tangled, dry, and does not retain its style. Remy is full and aligned with the epidermis, the hair is thick from the root to the tip, and the tangles should be minimal. Non-chemically treated hair is considered a virgin. No bleach, no acid bath, no irritating dyes. 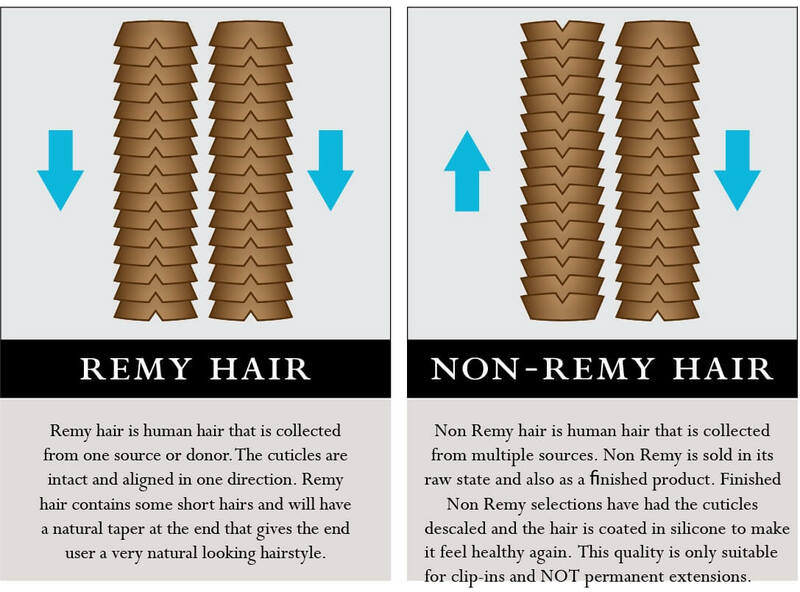 No need to wait for your hair to grow long, Remy Hair Extensions is the perfect way to increase hair size and length. The best Remy hair is 100% human hair and unprocessed. DSoar offers high quality Remy hair for you to choose from and is available 24 hours a day.